This will prevent Official ATPE from sending you messages, friend request or from viewing your profile. They will not be notified. Comments on discussion boards from them will be hidden by default. 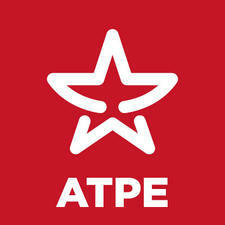 Sign in to Goodreads to learn more about Official ATPE. Click here for discussion questions from ATPE! We’d love your help. Let us know what’s wrong with this preview of Ten Rules You Absolutely Must Not Break if You Want to Survive the School Bus by John Grandits. We’d love your help. Let us know what’s wrong with this preview of The False Prince by Jennifer A. Nielsen. We’d love your help. Let us know what’s wrong with this preview of Me and Earl and the Dying Girl by Jesse Andrews. We’d love your help. Let us know what’s wrong with this preview of The Uglified Ducky by Willy Claflin. We’d love your help. Let us know what’s wrong with this preview of Brain Jack by Brian Falkner. We’d love your help. Let us know what’s wrong with this preview of Black Elk's Vision by S.D. Nelson. Take a look at Official ATPE’s Year in Books. The good, the bad, the long, the short—it’s all here.